The Singapore CBD coffee and breakfast scene just got a bit more grungy with Gemmills, a sliver of a back-alley cafe near Telok Ayer Street. 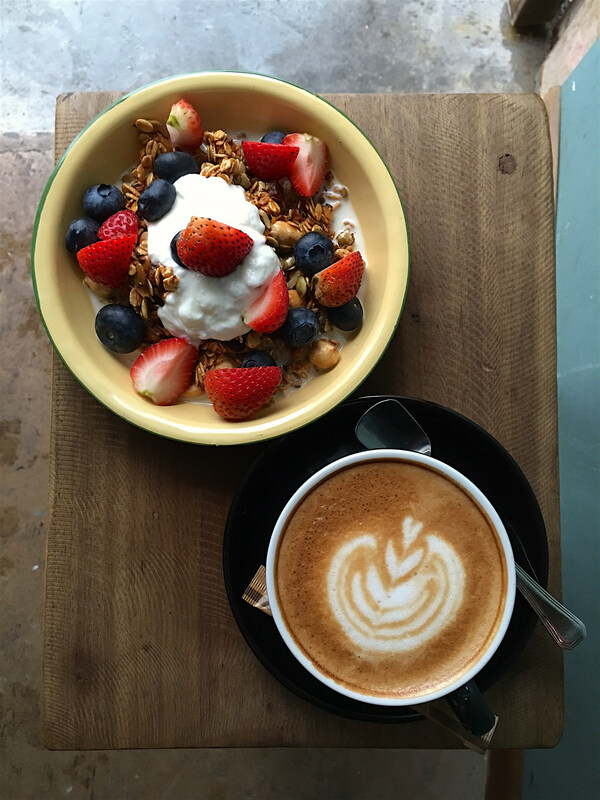 You can grab a fuss-free drink and go, or stay awhile and slowly savour that cup of Vittoria coffee, some homemade muesli or homemade sourdough toast. I liked the muesli - the oats had the recently toasted aroma that formed a lovely canvas for the fresh yoghurt, sweet berries and crunchy hazelnuts. The underground atmosphere is carried through from sister restaurants Maggie Joan's and Moosehead. The owners were also inspired by John Gemmills, the auctioneer-banker in the 1840s who gave Singapore its first public drinking fountain. A place to quench thirsts - that's what this place is about. Apart from offering coffee and tea, Gemmills is a licensed bottle shop, so customers can grab some wine or craft beer as well. The food menu is kept fairly simple. In the mornings, you get simple breakfast items - mostly toasties (including Vegemite) and pastries. Lunchtime is from 11am; there are daily rotations of sandwiches (from S$9), tarts (from S$8) and cakes (from S$6). 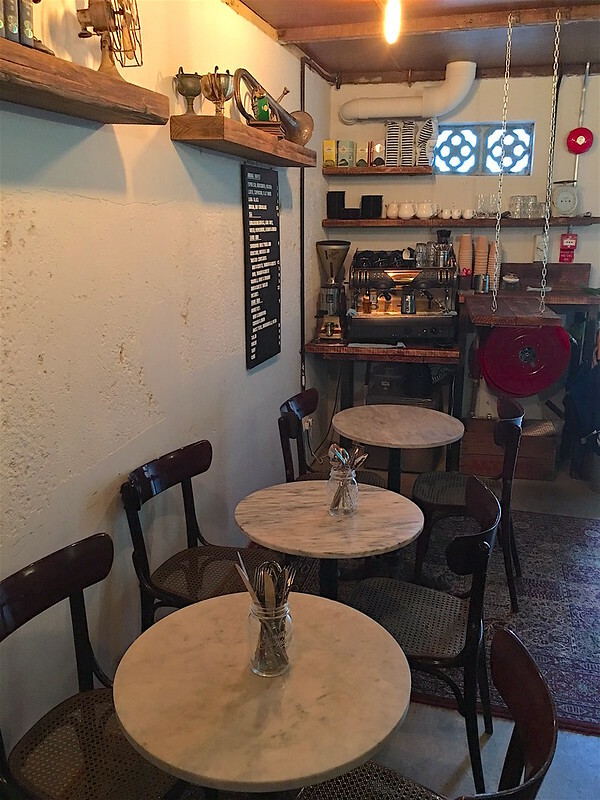 In the evenings, you'll find a curation of artisan cheeses (from S$8 per 50 grams), charcuterie (from S$7 per 50 grams) and a range of small bites such as mixed nuts (from S$4), marinated olives (from S$7) and duck rillettes (from S$10). 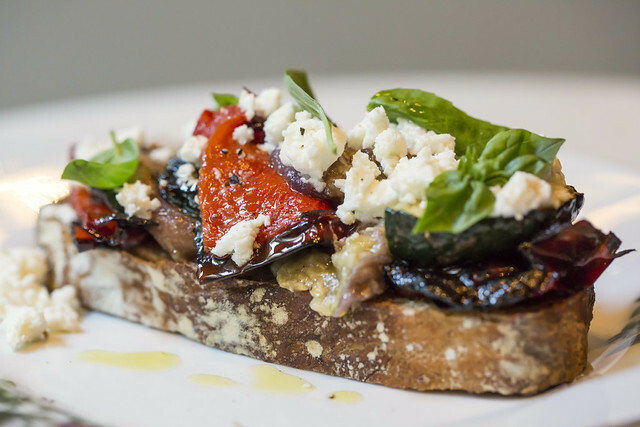 The roasted vegetables and feta bruschetta (above, S$14) looks so good, I'll have to come back and try it. 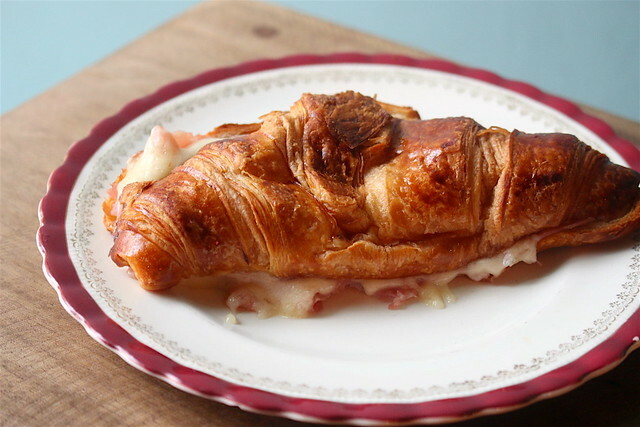 My toasted ham and cheese croissant came a little squashed though. 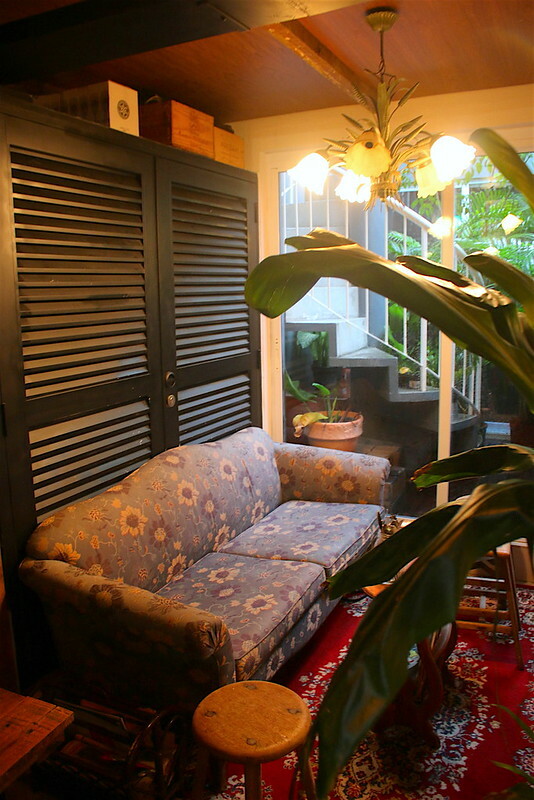 There's a cosy nook which I'm sure will be highly coveted by those who want to linger and chat. Every month, Gemmills will also run a collaboration. For August, it's going to be GEMMILLS X STAMPING GROUND: Stamping Ground Coffee House will bring two unique cold brews to Gemmills. I tried both; they are quite light and refreshing. 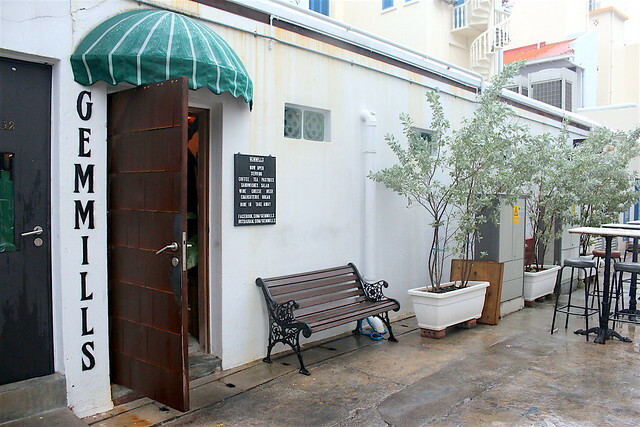 Although the address says 110 Telok Ayer, Gemmills has its entrance at Gemmills Lane. Look for the same olive trees that also flank Maggie Joan's next door. Thanks to Gemmills for the breakfast and coffee!